Need help with anything or prefer to order by phone? Call #248-471-3777 OR Get a Quote. 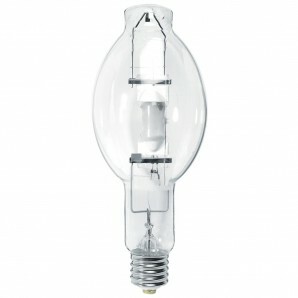 Brand Description : " 400W METALARC quartz metal halide lamp, E39 base, BT37 bulb, enclosed fixture rated, universal burn, clear, 4000K"
Order Abbreviation : "M400/U400 Watt Standard Metal Halide Clear BT37 Mogul (E39) Base M59/S 4000K Cool White 65CRI Bulb"
Replacement For : " EQUIVALENT REPLACEMENT FOR:PHILIPS MH400/UGE MVR400/UVENTURE MH400W/U"
Footnotes : 20,000 average rated life based on 10 hrs/start. 30,000 average rated life based on 120 hrs/start. S = When operated within 15 degrees of vertical, this lamp may be operated in an open luminaire provided the installation is not near people or flammable or combustible material, otherwise it must be operated in a suitably enclosed luminaire. See lamp warning.